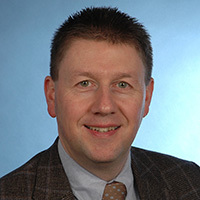 Dr Schlosser obtained his Ph.D. in organosilicon chemistry from the Technical University of München. After joining Degussa AG in 1996, he worked in R&D and Applied Technology for organofunctional silanes, providing a wide variety of market solutions in dental and in plastic applications. Since 2004, he has focused on the adhesive and sealant industry with an initial interest in R&D, Product Development and Applied Technology for organofunctional silanes, and the subsequent inclusion of fumed and precipitated silica products in 2007. Within Evonik Resource Efficiency GmbH, he currently holds the position Director R&D / Applied Technology “Adhesives & Sealants”. Organofunctional silanes (Dynasylan®) play a fundamental role as high-performance adhesion promoters and co-crosslinkers in numerous adhesives and sealants. Traditional silane monomers often give a versatile adhesion spectrum on various important substrates, in e.g. automotive, construction or industrial applications, while silane oligomers offer additional advantages regarding compatibility with polymers, adhesion, mechanical properties, handling or environmental aspects. As a pioneer in eco-friendly silane solutions, Evonik has already launched multi-functional silane oligomers to the A&S industry to contribute to the green future of finished A&S systems. Such silane oligomers of the 1st generation typically create superior performance in challenging requirements, but they partly also release methanol as a by-product. In this presentation, the results of several lab studies with newly developed organofunctional silane oligomers of the new 2nd generation in moisture curable formulations (e.g. SMP and silicones) will be shown. Next to lower amounts of released VOC (volatile organic compounds) during cure, new oligomers also contribute to better formulate methanol-free products, and to have a positive impact on labelling - a topic that is coming more in the focus of today’s discussions.